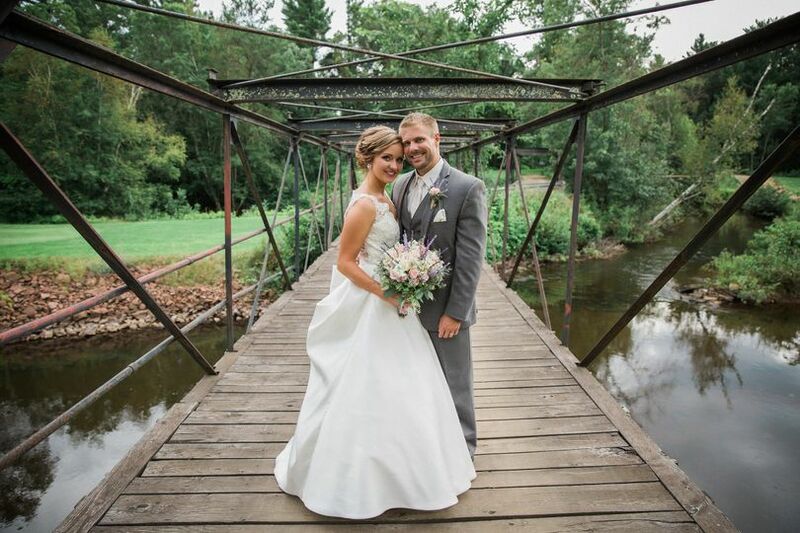 Local to Wisconsin Rapids, Wisconsin, venue The Ridges Golf Course specializes in hosting luxury wedding ceremonies and receptions. Owners Todd and Michele Goska have endeavored to renovate and renew this unique space since purchasing the venue in 1995. 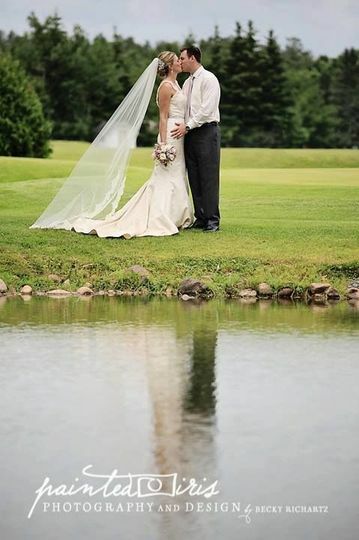 The Ridges Golf Course team is dedicated to making your wedding day a seamless, memorable experience for you and your partner, and endeavors to fully customize their services to your needs and budget. 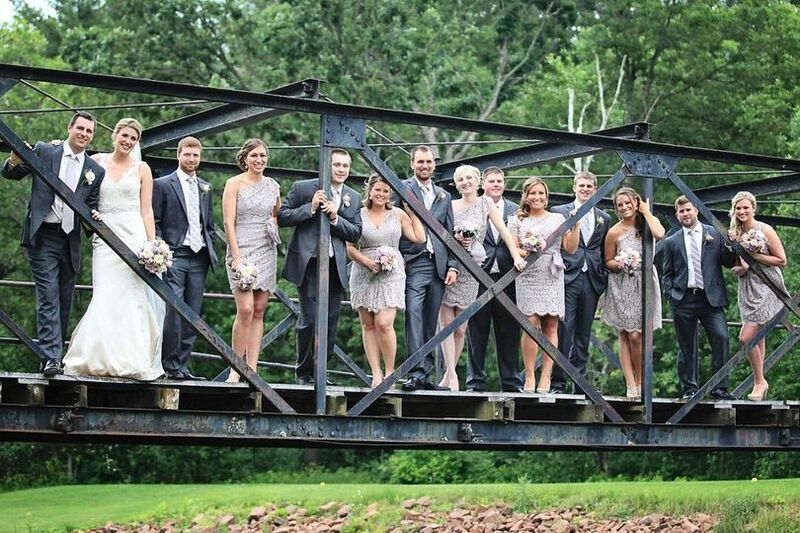 The Ridges Golf Course offers three possible event spaces for wedding ceremonies and receptions. 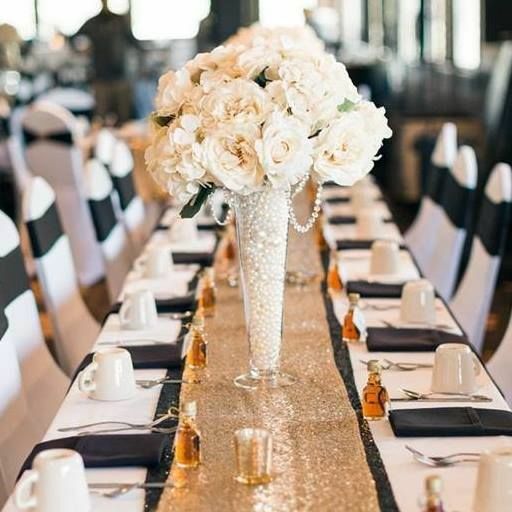 With over 5,700 square feet of banquet space, The Pavilion can service up to 350 wedding guests, featuring a full-service in-room bar, a dance floor, wireless internet, air conditioning, and a stunning view of the impeccable golf course. The recently remodeled West Wing offers 5,400 square feet of space and similar features as that of The Pavilion, seating up to 250 guests. With 1,400 square feet of space, The Legends Room is ideal for smaller weddings with a wet bar and seating for up to 55 guests. 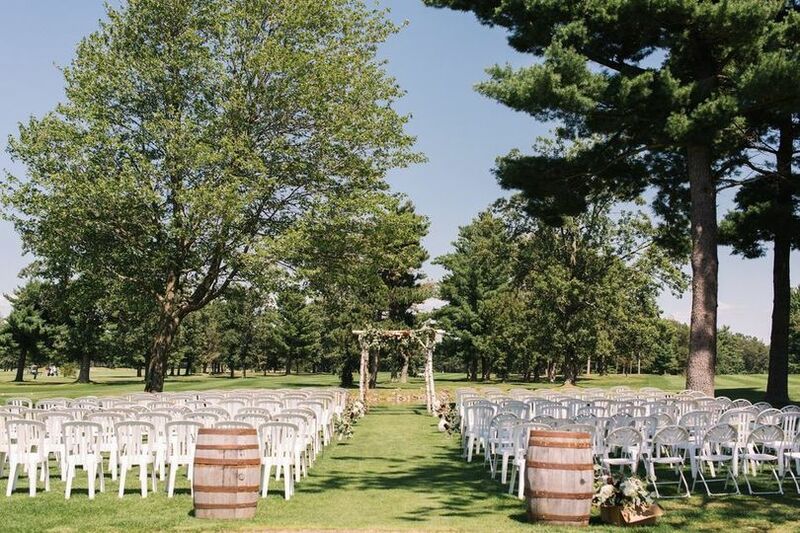 The venue’s eighteen-hole golf course features a state-of-the-art irrigation system and scenic terrain that can serve as a beautiful backdrop for your wedding photos. 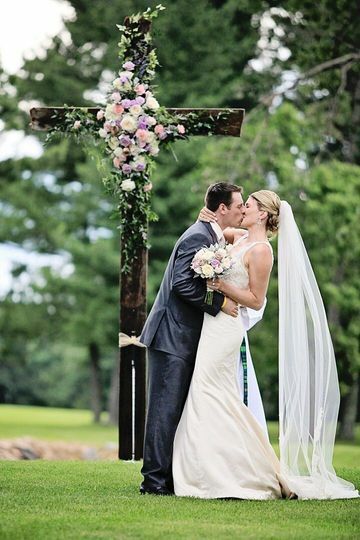 Once booked, The Ridges Golf Course assigns a certified wedding specialist to serve as your point of contact throughout your wedding planning experience. 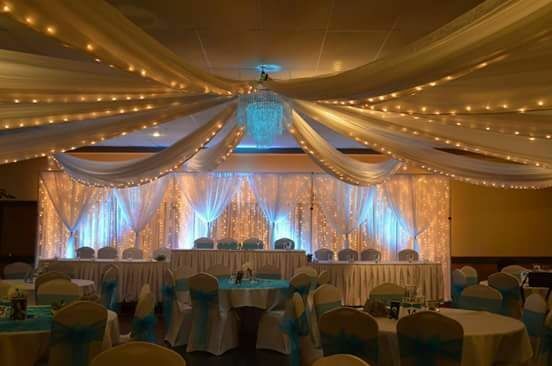 The venue provides full catering and bar services for your reception, and all wedding packages are always customized to your budget and particular needs. Barware, china, flatware, glassware, linens, wireless internet, tables, chairs, and more are supplied for every wedding. Parking and shuttle service throughout the venue is complimentary, and all venue locations are wheelchair accessible. The Ridges are extremely accommodating plus beautiful. We were able to go out on the fall leaf changing color golf course for our pictures. It was perfect! Plus our guests raved about the food and they brought out pizza in the middle of our reception!! The staff took a lot of stress off my crazy bride brain! Our wedding day was everything we could have hoped for and more. Michele was amazing to work with and made the process much less stressful. We had so many compliments on the food and the wait staff was great! Would highly recommend this venue to anyone! We also had our rehearsal dinner here on Friday. Super, super happy with everything! 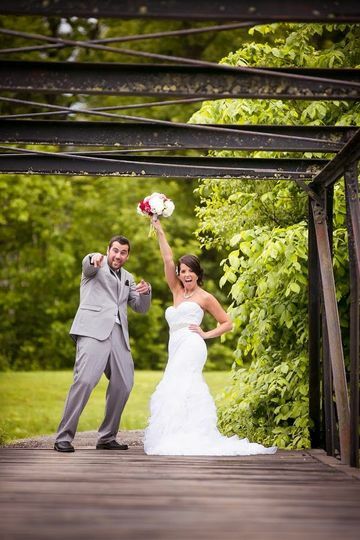 The Ridges Golf Course and Banquet Facility hosted various events for our wedding. Michele and Todd were incredibly helpful and made planning stress free! She organized a wedding shower brunch for approximately 100 guests. The mimosa bar, food, and service were wonderful and the West Wing was arranged comfortably for all. Michele and her staff also hosted our rehearsal dinner. We were able to customize our menu to ensure the event matched the casual style we were looking for. When the time came for our big day, the service we received at The Ridges was unmatched. From coordinating with our decorator, photographer, and entertainment personnel, Michele had everything covered. She designed a seating chart to accommodate a large amount of guests and ensured that 2 grand pianos fit into the Pavilion. She also created a beautiful display to serve appetizers. Michele and her staff successfully served our wedding meal to over 400 guests. The delicious meal was served in a timely fashion by friendly and professional staff. Even with a large group, the wait staff and bartenders worked efficiently allowing our guests to enjoy the day! We truly appreciated the variety of meal and drink options/packages available for our wedding day. The Ridges was accommodating through each step of our special day. They even provided us with a limousine golf cart to use during photos on the course! Michele’s planning and organizational skills truly helped to make our wedding day a dream come true. We couldn’t be more pleased with our experience and we highly recommend The Ridges Golf Course and Banquet Facility for any event!